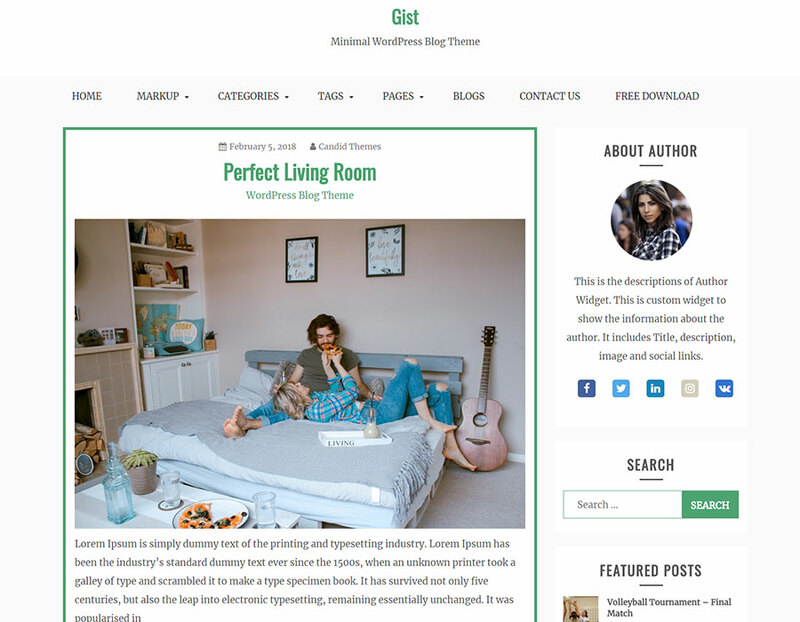 The Blog Circle is a responsive WordPress theme is the child theme of Gist. 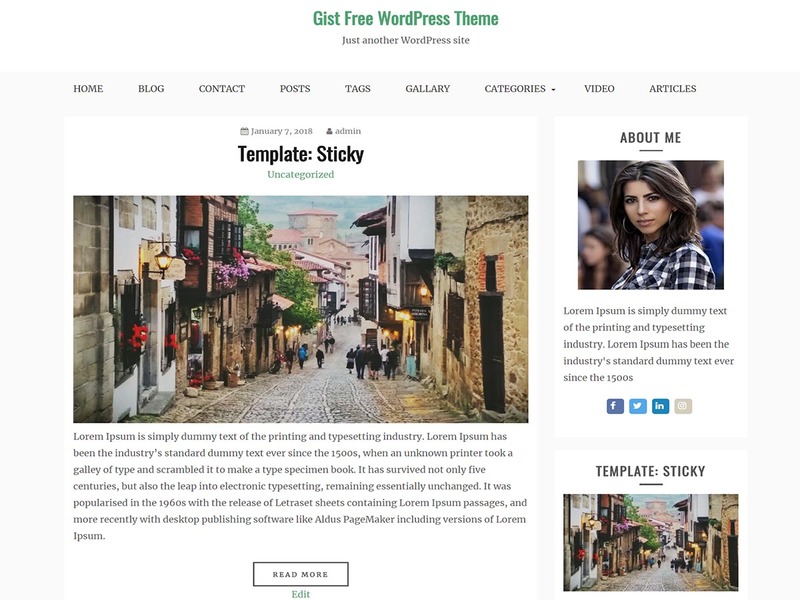 This is one best ever crafted free WordPress themes for Blog, news, and Magazine. 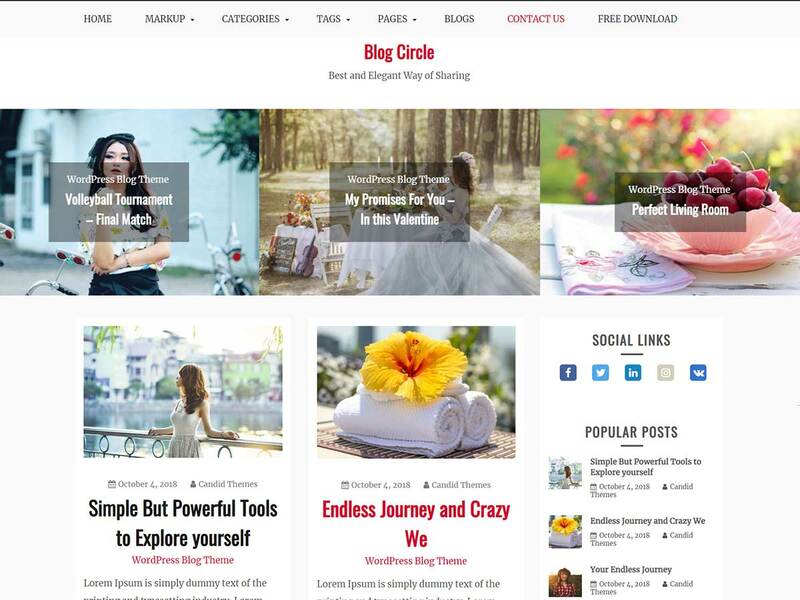 The Blog Circle is a simple, easy to use, modern and creative, user-friendly WordPress theme with typography, fonts and color options. In addition, Blog Circle is responsive, cross-browser compatible and child theme ready. It comes with added custom widgets for social and author, sticky sidebar options, footer widget, sidebar options, meta option, copyright option, social options etc. Blog Circle is the Child Theme of Gist. 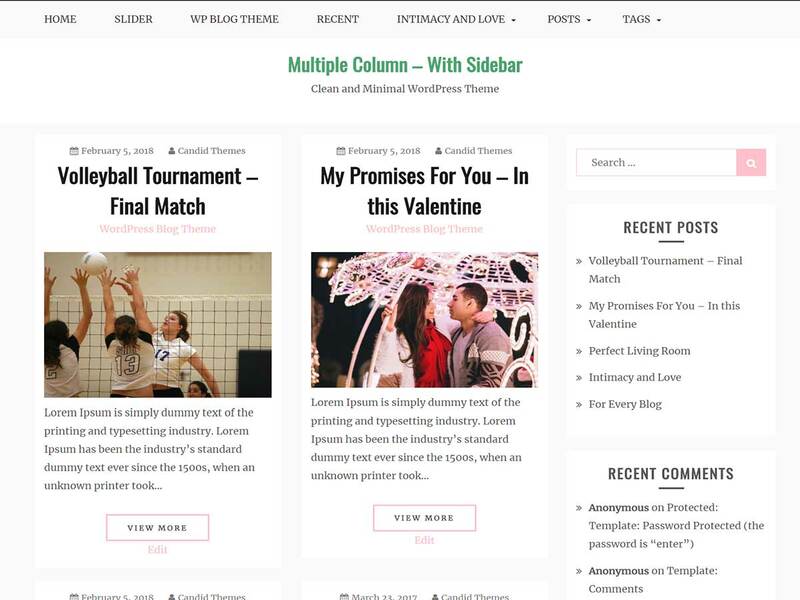 This theme is best ever crafted free WordPress theme for Blog, news, and Magazine. 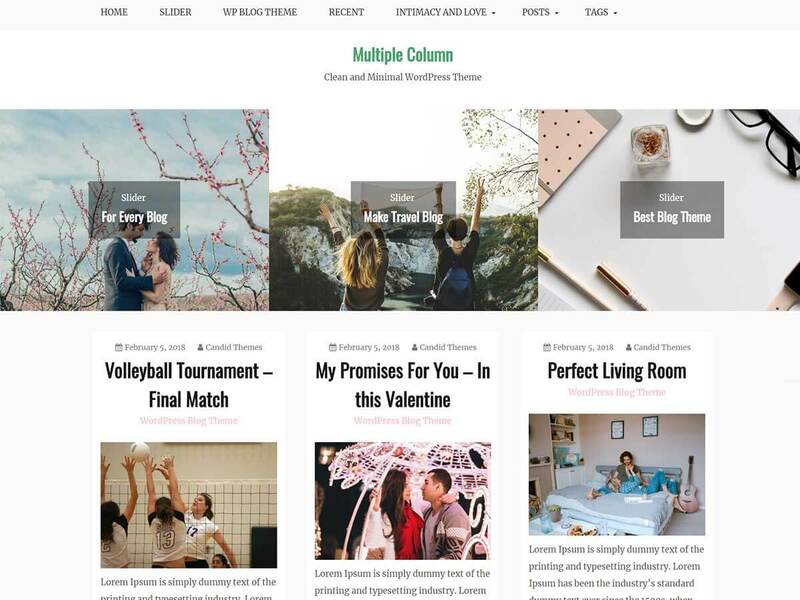 It is a simple, easy to use, modern and creative, user-friendly WordPress theme with typography, fonts and color options. In addition, Blog Circle is responsive, cross-browser compatible and child theme ready. Blog Circle comes with added custom widgets for social and author, sticky sidebar options, footer widget, sidebar options, meta option, copyright option, social options etc. Blog Circle is clean and minimal design with light weight theme for easy loading. Primary color option is in free version and more on premium. An amazing features that helps you to show the related post on blog. Edit copyright text easily even in free version. That's amazing.